Maxalto Collection furniture are now marketed with B & B Italia stable and offers a wide range of signature sofas, tables, beds, armchairs of subtle style and stunning design. 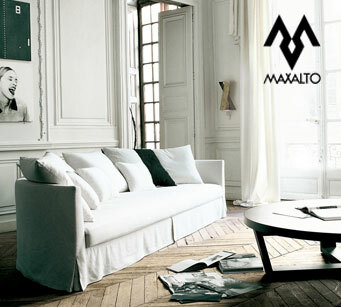 The Maxalto Collection creation provides a sense of effortless elegance and comfort. This superb quality aesthetically designed furniture has a mingle mixture of traditionalism as well as contemporary style. The Simplices, Apta and AC collection symbolized the most elegantly designed furniture.